Howard County has a Confederate memorial on our courthouse grounds, the place in our county where people come to seek justice. Two Howard County judges recently sent a letter to the council and county executive regarding the history of the memorial. Please take the time to read it. Howard County residents have been asking for the removal of the memorial for decades. The memorial was placed at the courthouse 83 years after the Civil War ended as part of the white supremacy movement. It should be moved to the Howard County Historical Society and placed in its rightful context as a symbol of the 1940’s. 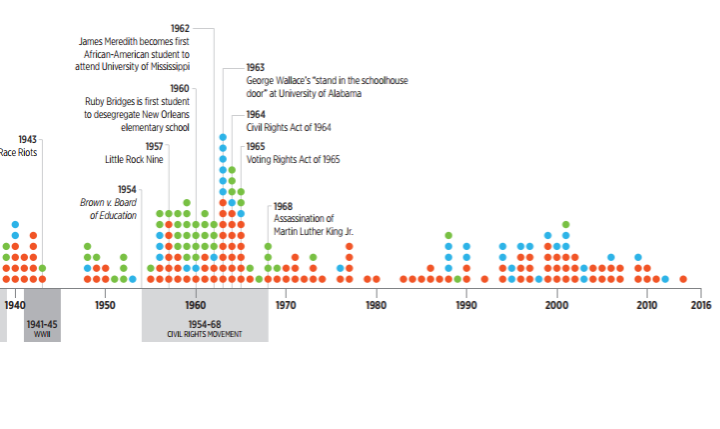 The “Whose Heritage” report from the SPLC explains the context of these monuments. You can see ours in this chart – the blue dot just before the 1950’s. Memorials on public land should uphold the values of the public. It’s time for this “memorial” to go to its proper place in history.